The Economic and Financial Crime Commission, the EFCC has fingered Independent National Electoral Commission officers in the 36 states of the federation in the bribery saga of $115 million slush fund shared by the embattled former minister of Petroleum, Mrs. Diezani Alison-Madueke. It was learnt that besides INEC officials in the 36 states, the EFCC has invited the owners of the oil firms which contributed $88.35million of the $115million sent to Fidelity Bank by the ex-Minister of Petroleum Resources. One of the four oil firms implicated in the bribery saga has been linked to former Governor of Delta State, who is serving a jail term in the United Kingdom, James Ibori. An EFCC source, who spoke in confidence to our source, said:”Our investigation into the N23.29billion bribe has reached a critical stage. Six teams are working round the clock in all the geopolitical zones. “The top officials of Fidelity Bank in custody have made statements, including the list of all beneficiaries and bank details of payments made to them. 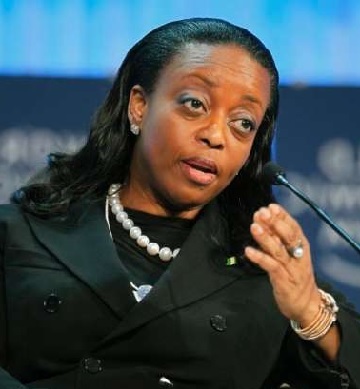 “We are likely to arrest more suspects, especially the oil chiefs who provided about $88.35million of the $115million lodged in Fidelity Bank for conversion to naira. “One of the clues we are probing is the likelihood of these funds being laundered by the oil firms and their owners. “If these clues are proven, they may eventually face trial for money laundering. We will surely interact with these oil magnates. The source added: “One of the oil chiefs, Leno Olaitan Adesanya, reported at the EFCC headquarters in Abuja but he has been directed to go to the Lagos office. Fidelity Bank and some former and serving officials of INEC have refunded about N408.7million to the EFCC. A top EFCC source said: “While scrutinizing their records, we discovered that Fidelity Bank made a profit of N49.7million from the disbursement transactions made in all its branches nationwide. The management of the bank on Thursday refunded the profit while we are continuing investigation on other funds. “But some of these beneficiaries in Oyo and Ogun were suspicious of the sources of the funds. They cooperated and went to the designated Fidelity Bank branches and collected the cash. Instead of spending it, they sought the service of lawyers who advised them to open accounts to keep the cash in case there are issues in the future. “When this matter came up, the lawyers assisted in locating the funds and the N359million was refunded.